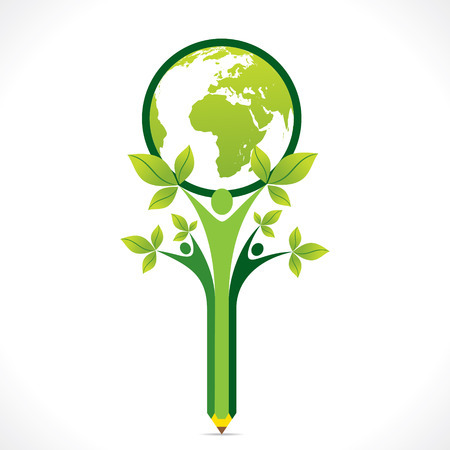 There are many reasons why an electrical contractor makes a commitment to become environmentally friendly, from business opportunities to personal values. Choosing a partner committed to the same green principles can help you achieve your goals, and demonstrate that companies of all size can impact positive change. Like many of you, Schneider Electric made a conscious decision to both uphold its corporate commitment to environmental responsibility while we grow the company and maintain top product and service quality. At Schneider Electric, we are committed to delivering green products to our clients, through environmental performance management, resource efficiency and clean manufacturing. In these key areas, we have established programs that systematically reduce the environmental impact of our operations and our products. Going one step further, we are also willing to go the extra mile to develop circular economy models, by reusing, repairing and recycling products and materials. With over 250 factories and distribution centers around the world, we needed to develop a formula to ensure success. Environmental performance management is the first step to ensure continuous improvement of our environmental performance. Each facility has to achieve certifications, as appropriate, covering quality (usually ISO 9001), safety (typically OHSAS 18001), environmental management (ISO 14001), and energy management (ISO 50001). For example, when we acquire a new company or facility, that site is expected to become certified in these areas within two years. Considering resource efficiency in manufacturing and logistics, we focus our attention on energy, water, SF6 and waste. In addressing each area, we begin by quantifying what is being consumed and/or generated, and then take steps to optimize our operations. Our objective is to reduce energy consumption by 10% in 2017 compared to 2014, and we already have achieved a 10% reduction in water use since the end of 2014. SF6 emissions have been reduced by a factor of 10 since 2008. We also maintain a database of best practices that enables sharing these good ideas throughout the company across all our business units. The push for greener logistics focuses primarily on reducing CO2 emissions from transportation sources. In 2015 our Plovdiv, Bulgaria, manufacturing facility attacked the problem of waste management by investing in a full-service execution line where most product repairs and refurbishments now are made. Changing how products needing repair are handled has reduced both material use and waste generation. In 2012, facility managers in our Wibe Mora cable management products factory in Sweden modernized and optimized a major ventilation structure, adding a new heat recovery system in the hot dip galvanizing area. Given the plant’s cold location, this upgrade has significantly lowered energy costs – and therefore improved competitiveness – while also improving air quality for the employees. Our efforts to achieve cleaner manufacturing have enabled us to significantly reduce volatile organic chemicals (VOC) and the use of hazardous materials. We have notably strongly focused on materials and substances listed in the REACh and RoHs standards, globally in all of our products and facilities. Our Green Premium ecoLabel brings complete environmental information to our clients. Finally, we are striving to develop circular economy models by reusing, repairing and recycling products and materials. For instance, we have a facility in Privas, France dedicated to the refurbishment and remanufacturing of our products at the end of their life. When it comes to waste, we are striving to achieve a “zero waste to landfill” status at a growing number of our facilities. By the end of 2017, at least 100 of our sites should no longer be sending waste to landfills. These and other large and small efforts throughout Schneider Electric’s business units ensure that the products and solutions are manufactured in an environment-friendly manner. We hope this examination of what we are doing helps spark some ideas on what you can be doing on your own. We know that we are making a difference and that the market is recognizing our efforts. In fact, Schneider Electric rose to 10th place (from 25th) in the Newsweek Global Green Ranking 2016. As an electrical contractor seeking to boost your level of environmental responsibility, rest assured that when you use our products and solutions, you’re taking an earth-friendly approach. Let us know in the comments below about specific steps that you are taking to help achieve this goal. For more information on the steps Schneider Electric is taking in this area, please visit our site. Going green is the ultimate necessity to keep our future generation safe and even keep out today a little better. Green is the way to go!